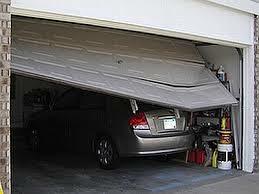 So far this month we have had calls for emergency garage door repair service. The call have been right when we open in the morning and right before we close for the day. We have had calls from garage doors being off track, cables, wires, chains, belts and rollers being loose or the garage door openers are not working. We have been accommodating customers for emergency garage door repair service as much as we can. How do you know if you need emergency garage door repair service? This is when you should call us at 702-527-1985 JB Garage Door Repair for emergency garage door repair service. We do not recommend repairing your door yourself. You could end up doing more damage and in the long run costing you more money. It is very important to call JB Garage Door Repair when you have an emergency garage door repair service need. We will arrive at your house within 45 minutes, assess the problem, fix the garage door or secure your garage door. For emergency Garage Door Repair Service call us JB Garage Door at 702-527-1985. We will arrive within 45 minutes to repair or secure your garage door.